Do you have thoughts that bother you or make you anxious and that you can’t get rid of regardless of how hard you try? Do you have a tendency to keep things extremely clean or to wash your hands very frequently, more than other people you know? Do you check things over and over to excess? Do you have to straighten, order, or tidy things so much that it interferes with other things you want to do? Do you worry excessively about acting or speaking more aggressively than you should? Do you have great difficulty discarding things even when they have no practical value? 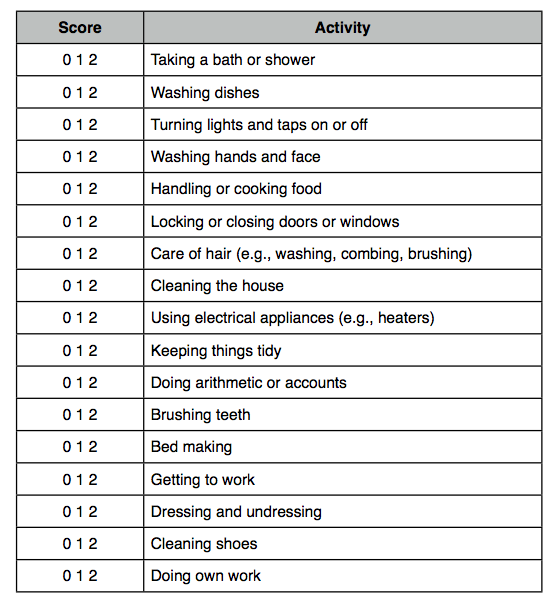 People with OCD usually have difficulty with some of the following activities. Answer each question by circling the appropriate number next to it. 0 No problem with activity—takes me same time as average person. I do not need to repeat or avoid it. 1 Activity takes me twice as long as most people, or I have to repeat it twice, or I tend to avoid it. 2 Activity takes me three times as long as most people, or I have to repeat it three or more times, or I usually avoid it. 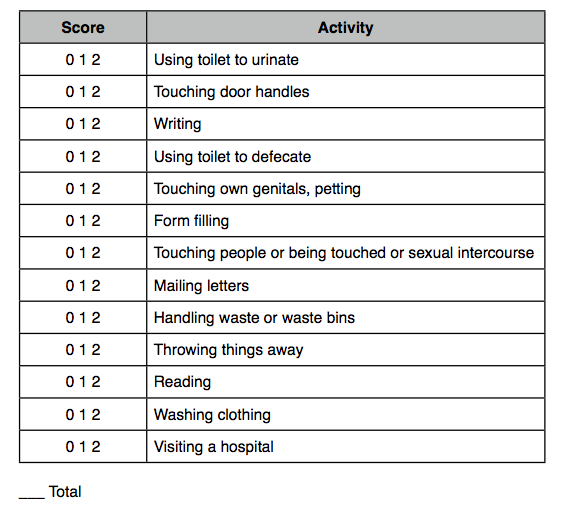 If you score between 10-20 a further evaluation will be helpful in order to accurately diagnose obsessive-compulsive disorder. To print a copy of the test, click here.